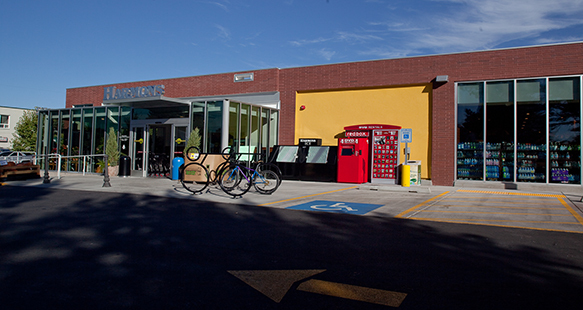 It took a bulldozer to begin the extensive remodel of this landmark market that had been in the walkable neighborhood of 17th East and 13th South in Salt Lake City for many years. 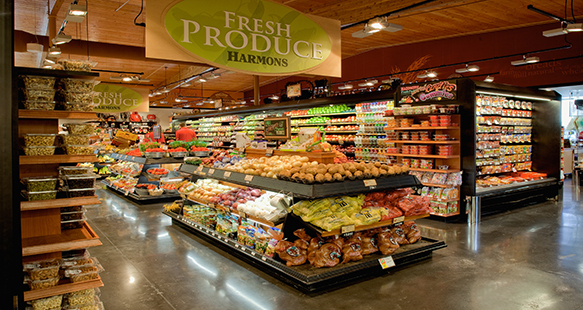 Even though the store is smaller than the rest of the Harmons stores, it features all the traditional grocery items though on a smaller scale. 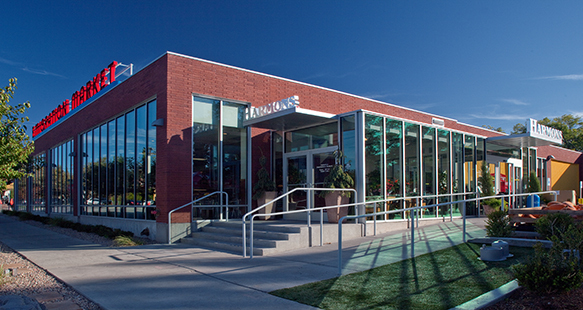 The new market has indoor and outdoor seating, bike parking and even a pet watering station for neighborhood appeal. Other highlights include a variety of fresh food, fine fresh meats and pastries; a produce and salad bar; a deli featuring Gourmet cheese, Gelato, a sandwich bar, coffee shop, Sushi and much more. According to the neighbors, it is their “dream” store. 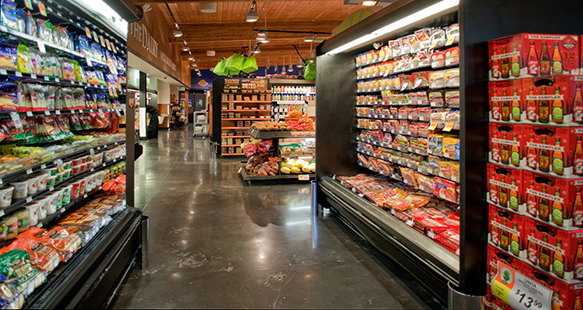 R&O has been building Harmons grocery stores for many years and all over the State of Utah.